Cadson Bury in Cornwall, England. 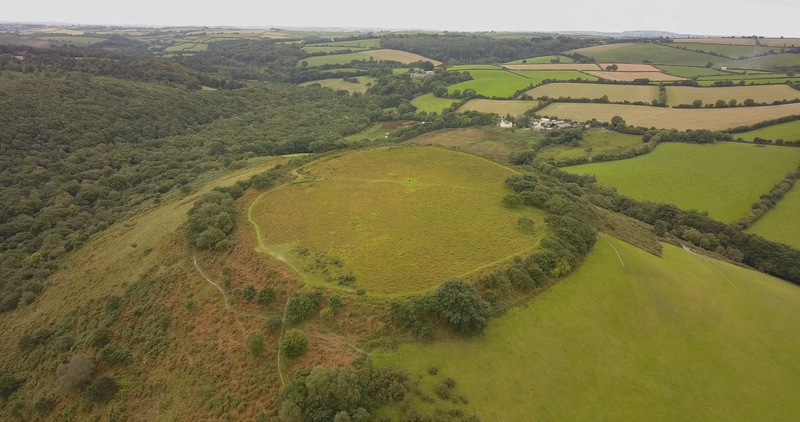 Cadson Bury is probably one of Cornwall’s earlier hill forts, since it has a single bank that hugs the contours of the hill. ‘Cadsonbury’ was first recorded in the 13th century, and its earliest depiction was on Martyn’s map of 1748. It was described by D. and S. Lysons in 1814. The monument includes a slight univallate hill fort in a easily defended position. It is situated at and enclosing the summit of a prominent and very steep sided hill called Cadson Bury Down, overlooking the valley of the River Lynher. 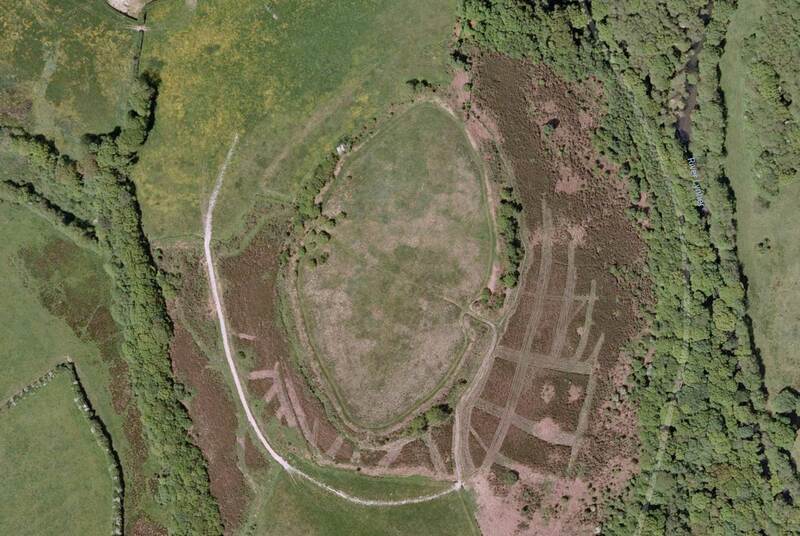 The hill fort survives as an oval enclosure measuring approximately 275m long by 170m wide internally defined by a single rampart of up to 2m high internally with outer ditch of up to 1.3m deep.The interior of the fort is mostly level and covered in scrub. The site is well-preserved overall. There are two inturned entrances to the east and west and a southern staggered breach may also be an original third entrance. Cadsonbury was first recorded in the 13th century, and its earliest depiction was on Martyn’s map of 1748. It was described by Lysons in 1814. The views from the top are spectacular and well worth the climb. Summary: Univallate, egg-shaped, contour hillfort sited in a commanding position above River Lynher to E, on and enclosing summit of hill called Cadson Bury Down near Callington. Very steep surrounding slopes to E, steep to S and W and moderate to steep to N where ridge. Rampart follows 94m contour. Dimensions c. 255m N-S by 145m E-W, encloses 2.53ha. Bank rises to c. 4.5m high on its outside with outer ditch up to 1.5m wide and to 1.3m deep to the S, but this gives way to a berm on N half. Two well-preserved original inturned entrances to the SE and (possibly) NW. A staggered S breach may also be original and cut through by footpath. Chance find of a spindle whorl on SE slope. ‘Cadsonbury’ was first recorded in the 13th century, and its earliest depiction was on Martyn’s map of 1748. It was described by D. and S. Lysons in 1814. Interior largely level and scrub covered. Well-preserved National Trust property. On 1st Ed. OS map (1882-83).